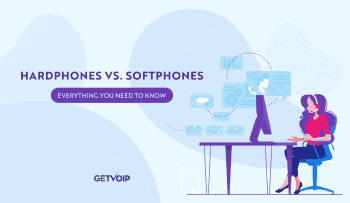 Over the last few years, as cloud communications have continued to grow at an astounding pace, there have been hundreds of thousands of words written about the benefits and advantages of switching your company over to VoIP. Here at GetVoIP, we’ve been known to contribute to that word count from time to time! But sometimes pictures can tell the story better than any amount of column inches ever could. We’ve put together this lighthearted collection of photos which illustrate the many reasons why your business should seriously get VoIP. Faxes get a bad rap as outdated technology, but they still have many legitimate business uses. That doesn’t mean you should have to deal with a dinosaur. With fax over VoIP technology, you can eliminate long wait times, sign faxes electronically, get mobile alerts and much more. Missing faxes because the machine ran out of paper is infuriating and unnecessary. By switching to a VoIP fax system, you can send and receive faxes over email. Outdated telephone technology makes life harder than it has to be. Replacing old equipment with a VoIP system is an inexpensive update for any office. Messages, notes, faxes, files. A fully paperless office may still be the stuff of fantasy, but with the help of VoIP and cloud technology, you can get a few steps closer. Streamlining communication will go a long way towards cutting out the clutter. Everyone in your company deserves their own extension! VoIP can accommodate as many lines as you need, virtually. No more expensive, time-consuming line installations. Just configure and go. Move call handling into the 21st century. You can fully integrate in house or managed call handling services into your VoIP system for a fraction of the time, money, and effort you’d spend on a traditional system. It might sound frivolous, but if you’ve ever been stuck on hold, suffering through endless minutes of dreadful disco, you’ll know that hold music matters. It’s quick and easy to customize your hold music when you’re dealing with a VoIP service, so that your customers can appreciate your good taste in tunes. Dialing is dead. 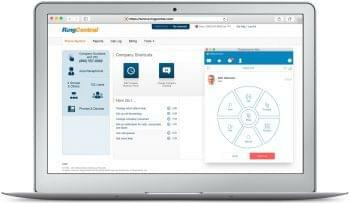 With VoIP and the current generation of cloud communication technologies, bringing people into a call can happen at the click of a button. These days, all business is international. VoIP gives you a global reach for a fraction of the cost of traditional long-distance fees. Shred your phone bill and enjoy the freedom of VoIP. All those little charges add up to a big stack of bills. Traditional carriers charge a fortune for features that come standard with VoIP. Why pay when you don’t have to? Video conferencing shrinks the world. From big client meetings to everyday telecommuting, the ability to set up a virtual meeting will save you staggering amounts of time and money. 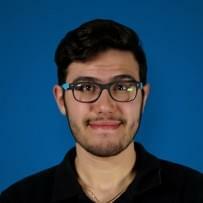 Pre-screening job applicants can be tough: sometimes a phone call just isn’t enough. Video interviews give you the opportunity to get a better sense of the person behind the resume before you ever call them in for a face-to-face. 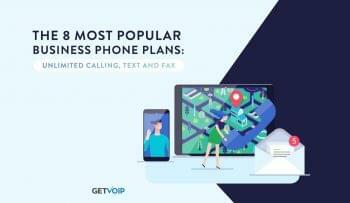 Mobile is the buzzword of the moment, and VoIP is an amazing way to keep everyone connected at a fraction of the cost. You can give your employees greater flexibility and productivity while drastically reducing communication expenses. VoIP isn’t the future: it’s the present. Cutting-edge technology doesn’t have to be intimidating. A vibrantly competitive market means that costs are low and user-friendly interfaces abound. By switching your business phone to VoIP, you’re giving yourself the edge you need to stay relevant, stay profitable, and move forward.